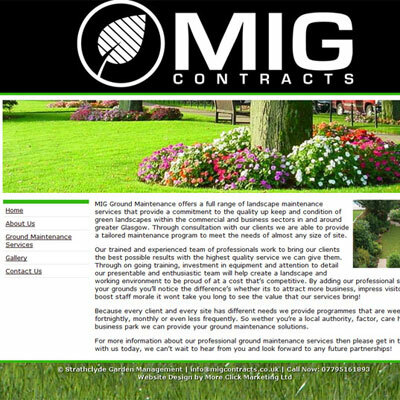 We were tasked with creating a website design for MIG Contracts a small gardening, landscape and commercial garden maintenance firm. They asked us to update their logo and business colours to better suit their needs. If you are a freelance gardener or large commercial landscaping company we can create a website to suit your needs at a great price. Contact us for more information.